Our President is an unmitigated disaster! The circus has come to DC & their clown show is trying to govern our country. Yet with the assistance of what I surmise as a seemingly demonic-possessed spirit of deception emanating from the echo, 90% of the GOP base have been fooled into believing their false narratives, including a bizarre cult-like worship of Trump. They’re enabling this ongoing Trump disaster as it seems conservatives across the nation are succumbing to that same deceptive spirit. Even evangelicals have fallen under its spell. My opinions may come across as harsh, but how else are we supposed to think of rightwing messengers who constantly lie to us & live in a universe far removed from reality, with all their cultish followers under their power & actually believe that rot-brain narrative? Just think about that poll 90% of the GOP base approve of Trump. That means 90% believe the lies, 90% buy into the con job, 90% are accepting of the immorality, 90% fall for ignorance, 90% explain away all the incompetence & cluelessness, 90% turned a blind eye towards the rule of law being trampled on, & many among the 90% prefer putting an end to the Russian investigations, rolling out the red carpet for that foreign enemy to keep attacking our democracy. The party I’ve supported for a lifetime has gone from right to wrong, good to evil, truth to lies, shared values to their values, compassion to f-you, authenticity to deception, & love of country to love of tribe. So it’s not such a stretch to think the GOP has been supernaturally transformed from a responsible/ethical party into a cult. I say supernaturally when tens of millions of Americans have switched to the dark side at lightning speed, their complete transformation happening in under a decade. I wish I had a better explanation for rationalizing this unfolding disaster of a party run amok, but how can we explain the inexplicable? No wonder I can no longer relate to my former party! The deception has largely come from the echo capturing the unsuspecting minds of consumers following rightwing media. There are many villains, with Hannity perhaps being the worst of the worst. Hannity has seen several of his phony “worse than Watergate” scandals blow up in his face the last couple weeks. Since those Russian indictments came out Friday, most of his implausible conspiracy theories became more preposterous than ever. So he’s been tying himself into knots with some of the most illogical explanations in the history of television commentary, frantically spinning tales of delusion to counter the real news threatening to crash the fake world his show is built on. He looks so exasperated on the air as if his head is about to explode, looking desperate to hang onto whatever shred of credibility he still has left. My instincts tell me with Hannity’s very close association with Trump & being integrally involved in the strategizing, he’s doing everything possible to try & put down this scandal investigation, since when the facts come out he may be among those served with indictments by Mueller. So he’s lying even more than Trump throwing out a different conspiracy & so-called scandal practically every night, sending off trial balloons to see which falsehood resonates most with his audience. But it’s no use, now that recently he’s been a proven liar dozens of times over & the Mueller investigation keeps plowing ahead until the truth is known, so Fox viewers should not be shocked if someday Hannity might be removed from Fox studios to live in a new residence. The rent would be free & the meals covered. Sure, it’s sheer speculation on my part, but anyone who is found directly complicit in covering up & obstructing an independent investigation looking into the facts surrounding a foreign entity attacking our democracy, such people are going to be in a world of hurt. As for the media, I’ll agree the real media is out to get Trump. But that’s because they report facts refuting his constant lies, while doing their duty to protect & preserve our democracy against a wanna-be dictator, someone who the signs are pointing towards having committed criminal acts to illegally get himself elected. And it’s no wonder the real media & the echo are at war with each other. The more Americans abandon truths in accepting lies from the echo, the more America itself is threatened to be dragged down by this alternate reality into a death spiral. So as always, below there are many links in the related articles exposing the buffoonery of Fox fake-news. The afternoons aren’t nearly as bad, but for those who take in the Hannity hour, along with Carlson preceding him & Ingraham proceeding him, that’s 3 straight hours in the idiot zone! Living inside such an entirely different & perplexing fact-free bubble, it’s hard for reasonable Americans to even relate let alone respect that brainwashed crowd, especially in light of what that twisted mentality is doing to our country. Fox started copying a few years ago the nutty rhetoric spewed by far-right radio talk shows & social media groups for the ratings, but the damage has been extensive. I guess conservatives have decided to gravitate away from truths in favor of conspiratorial entertainment that ratchets up anger against their perceived bad guys. And the same chuckleheads who believe the echo also fall for the Russian propaganda. If Trump is ultimately proven guilty of treason & other crimes, Fox & the echo along with the Russians will be found to be his accomplices in those illegal activities. Russian trolls weaponized Fox News pundit Sean Hannity. Hannity’s website ranked among the top 10 shared by Twitter accounts linked to Russian influence-campaigns, including a big effort behind GOP Rep. Devin Nunes’ push to #ReleaseTheMemo. But the disingenuous idiocy isn’t simply confined to Fox. 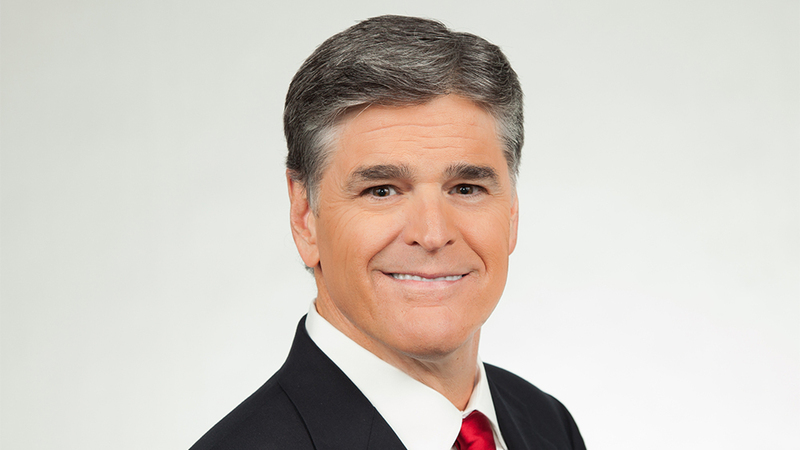 There might be only one other media personality in the whole world more nuts than Hannity, & you can see his face by clicking on cognitive-ability-and-vulnerability-to-fake-news. The NRA not only owns many GOP politicians, they also influence the echo: right-wing-media-have-profited-for-years-from-ar-15-giveaways-and-instructions-on-how-to-build. And sometimes the echo is in cahoots with the Russians: pro-trump-site-gateway-pundit-ran-russian-propaganda-mentioned-mueller-indictment. In another group of articles, tragically, the FBI whiffed on pursuing the case for the Florida shooter despite urgent tips in early January from a person who personally knew the shooter. So while the ridiculous accusations of bias running through the 35,000 employees in the FBI based on personal opinions shared on texts between a romantically-involved couple, it was obviously nothing more than an attempt by Trump & his echo to discredit the FBI as a way to smear the Mueller investigation, but by blowing that lead on the shooter, it was a major blunder which Americans deserve an explanation from the FBI. Particularly the families of the victims, they deserve an explanation & for the FBI to hold accountable those at fault (fbi-failed-pursue-january-tip-parkland-school-shooter-suspect). As usual after another mass shooting, the GOP talking heads took the wrong lessons & continue to run from the gun debate. The Florida governor had a knee-jerk reaction the FBI Director should resign, while he himself isn’t exactly clean on this by pushing some of the most pro-gun legislation in the country. And the President’s reaction was completely off the rails, blaming the FBI fumbling the shooter’s case on paying too much attention to the Russian case. In reality, Trump’s demeaning the FBI & lowering their morale had a far more negative impact on their job performance as anything else. He will continue to fail us in acts of commission (defending abusers, spreading racism) and omission (lack the feel and vocabulary to comfort). It’s true he’s a danger to democratic norms. But, equally as troubling, he is a danger to our national soul and our capacity for simple human decency. Rather than try to make us better versions of ourselves, he seeks to belittle and divide us. Do his evangelical followers think he is making us more or less compassionate, or more or less likely to sacrifice for the innocent? In their rush to find a pugilist and a few judges, they’ve set us on a path that will, in the end, undermine the things they claim to hold dear. Those who continue to defend him will reap the whirlwind. These days it takes courage to remain a principled conservative. For more signs how the GOP base have turned their backs on pragmatic conservatism & come completely unhinged in this era of Trump, catch the (former) conservative talk show host Jerry Bader interviewed here: conservative-radio-show-host-says. These days the conservative flock are eating the sweet-tasting, devilish fruit from a rotten tree. The defilement of America by a corrupt president is being aided by the compliant echo of iniquity. This Trump disaster only happens with the support of compliant messaging sources & doting base. The past few years have seen the early morning & evening shows on Fox fake-news transition away from real conservatism, now offering up a toxic stew of maniacal nihilistic lunacy mixed in with delusional radicalized garbage. As to the mentality of those viewers who swallow that stuff, it’s almost beyond words. We must fight back against the deception & lies to save our nation! Be bold in sharing this info! Send out to everyone a blog, The Voracs! You’re in the right so don’t be worried about offending those whose beliefs are undermining our constitutional democracy! If you happen to upset some Trumpeters, so be it! They had it coming! Hopefully, we’ll change a few hearts & minds, so they can rediscover their logical beliefs & moral compasses.